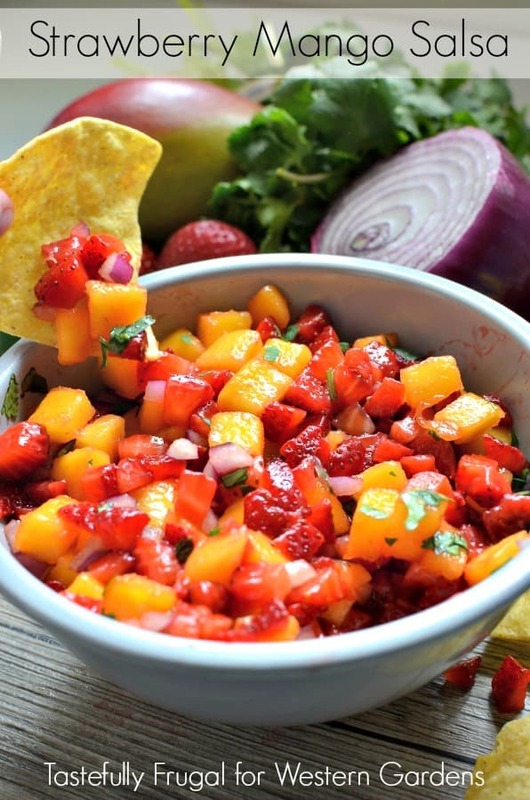 Fresh fruit and veggies make this the perfect salsa for any occasion. Did you know May is National Strawberry Month? I’ve taken advantage of strawberries being in season and on sale to try all my favorite strawberry recipes (and some new ones too). 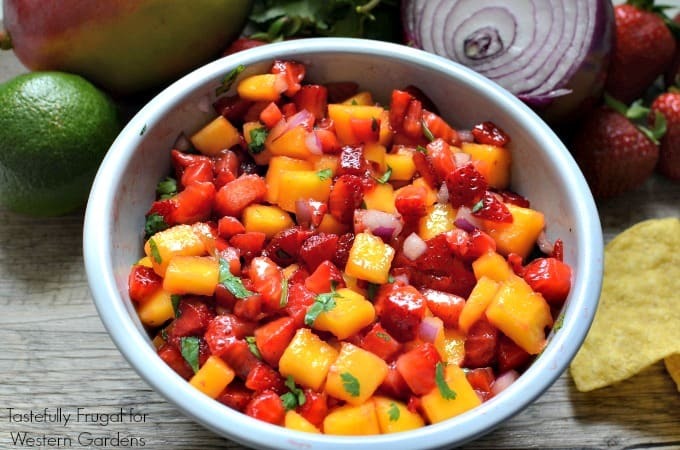 This Strawberry Mango Salsa was a new recipe I tried and it has quickly become our family’s favorite. My boys especially love the sweetness of the strawberries and mangos. I love the mix of sweet fruit with the citrus-y cilantro and red onion. I also love how easy it is to make! From start to finish, including chopping everything, it takes less than 10 minutes to throw together. If you’re planning a summer BBQ or get together definitely add this salsa to the menu! I’m sharing the full recipe over at Western Gardens.